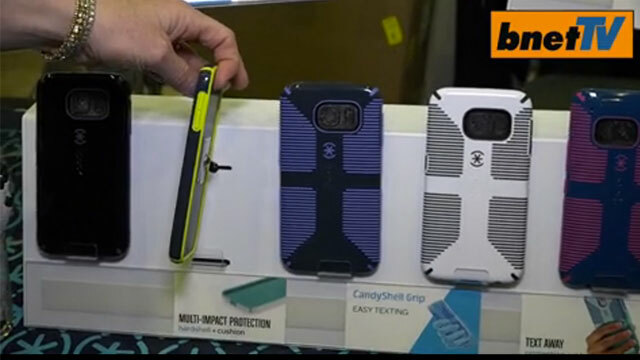 We gave bnetTV a special heads-up by showing off our new line of Samsung Galaxy S6 cases and Galaxy S6 Edge cases at Mobile World Congress 2015 (follow the rest of the buzz with #MWC15). Find out exactly why our new Galaxy S6 cases give you the best protection for the latest in Samsung’s mobile technology, and take a look at what we’ve got in store for the new HTC One M9. “We actually have seven new design centers for the Samsung Galaxy S6. We’ve never had that many designs for an Android phone. We’re really supportive of the Android space and on top of our partnership with Samsung, and we wanted to offer more slim protective solutions with lots of color for the Android super user. Watch the entire video by visiting bnetTV, and be sure to sign up to find out when our Galaxy S6 cases and Galaxy S6 Edge cases will be available.